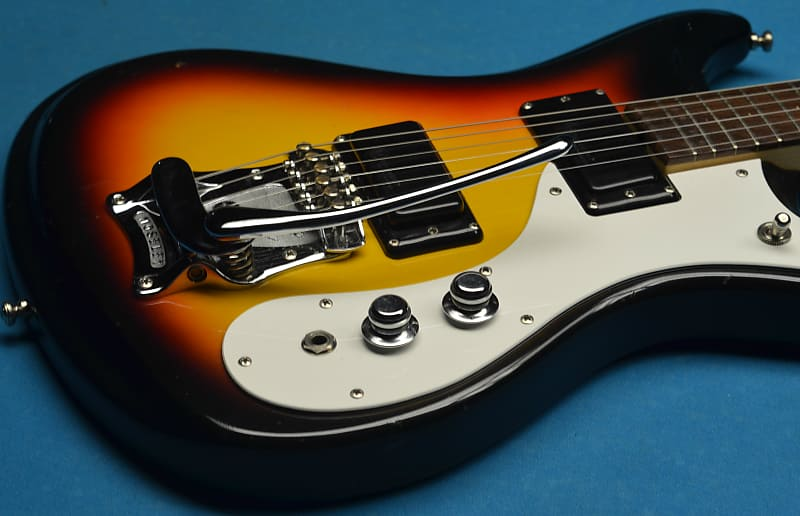 Hold onto your bucket hats folks, here's a boogie machine that is truly something special! 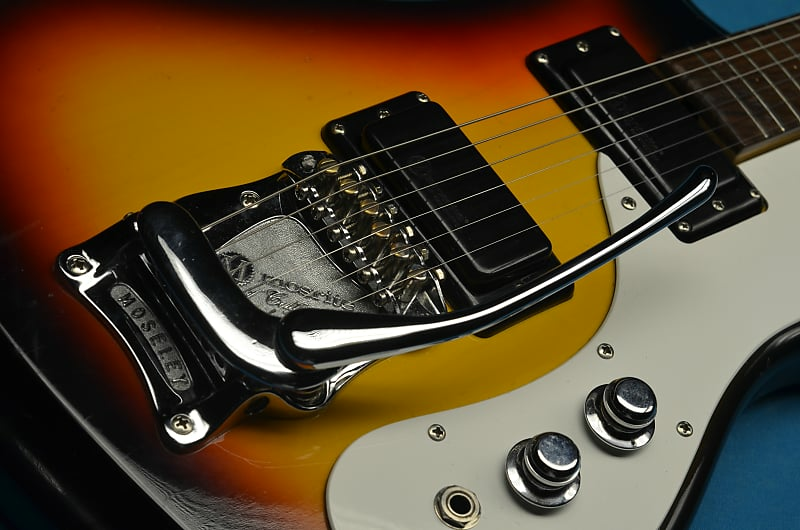 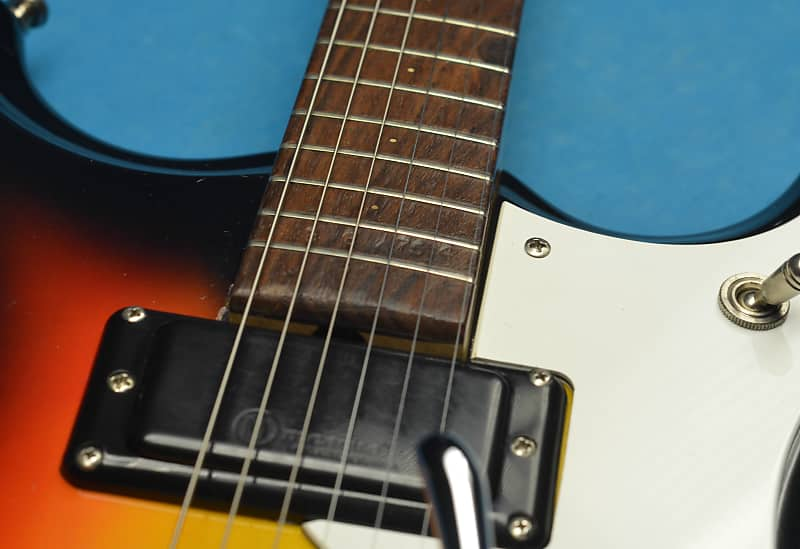 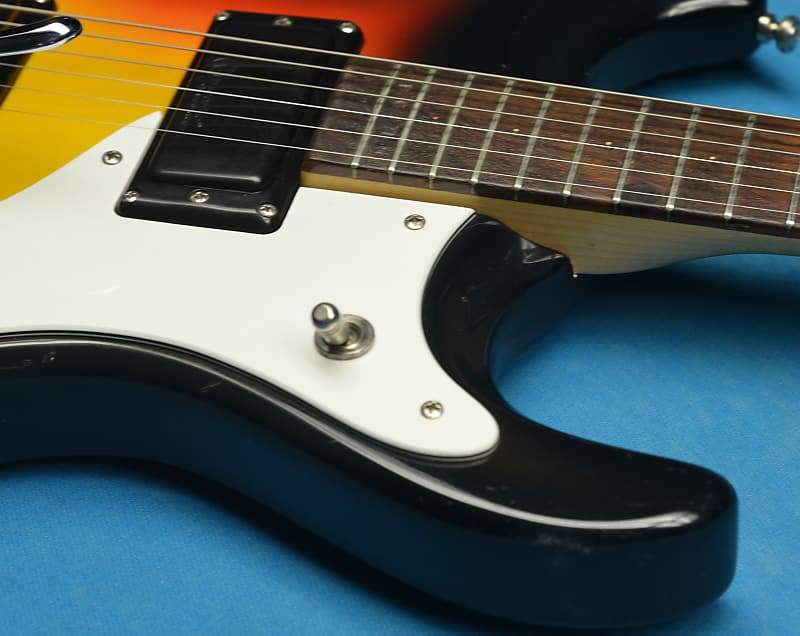 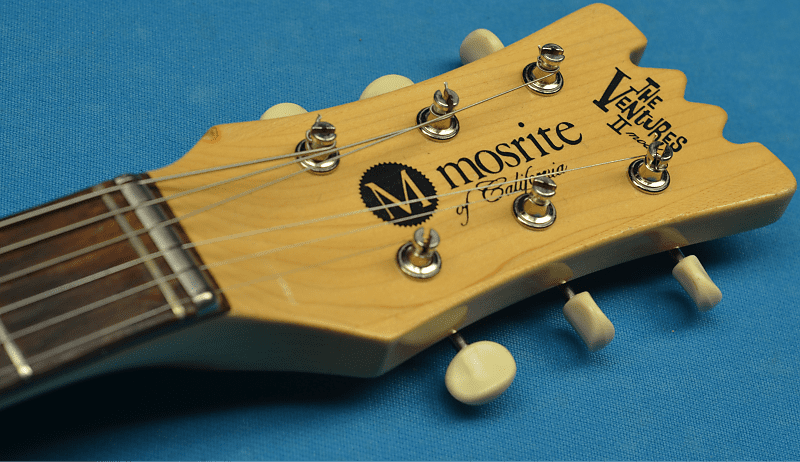 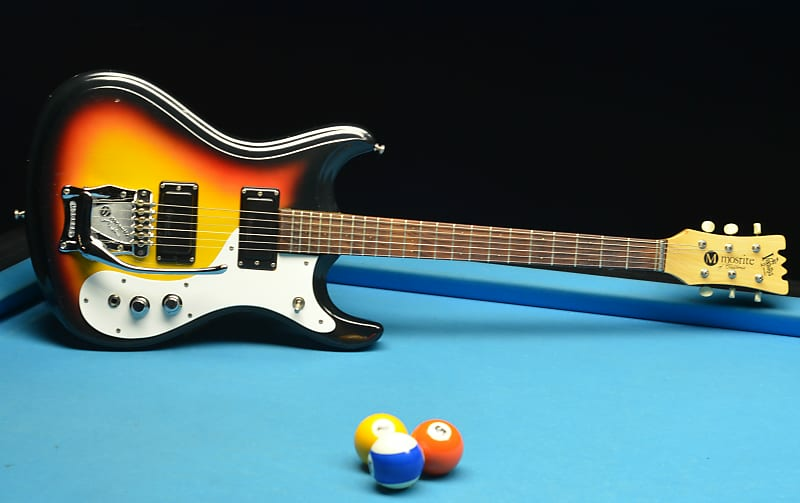 A 1965 Mosrite Ventures II model, from the golden age of American guitar making. 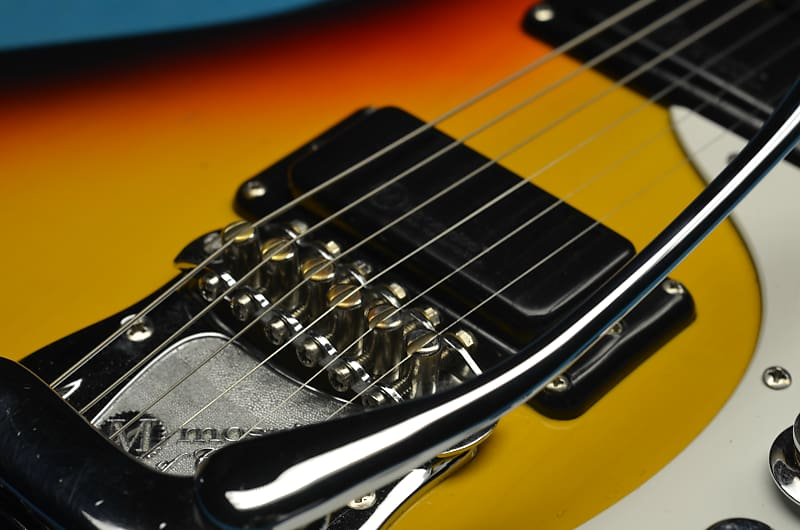 Adorned in a beautiful three tone sunburst finish, this guitar is a real show stopper. 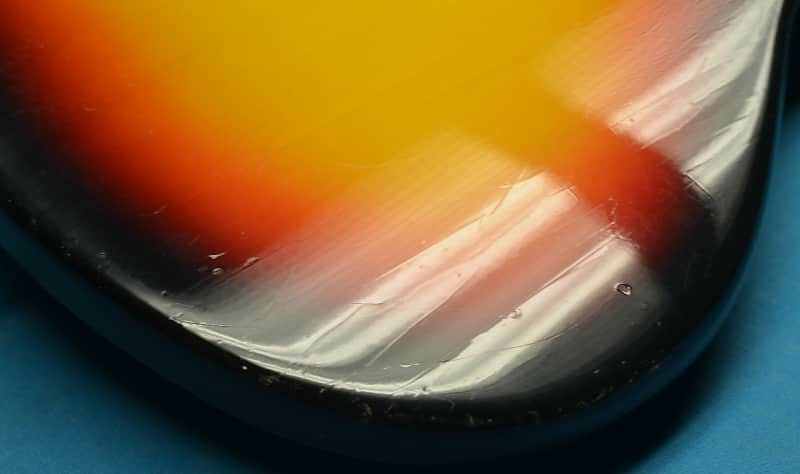 Finish is still very bright and shiny, with just enough character to let you know it has been loved. 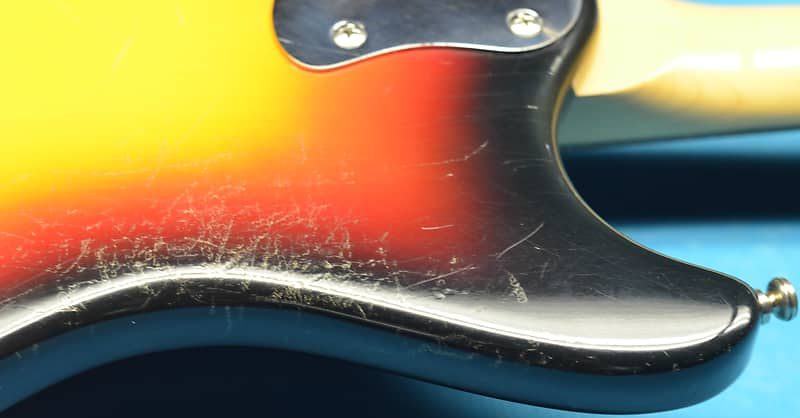 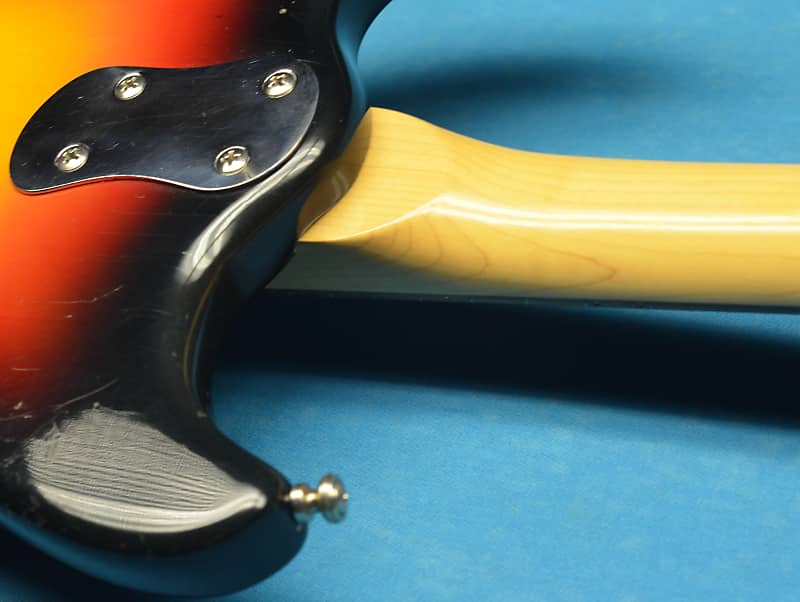 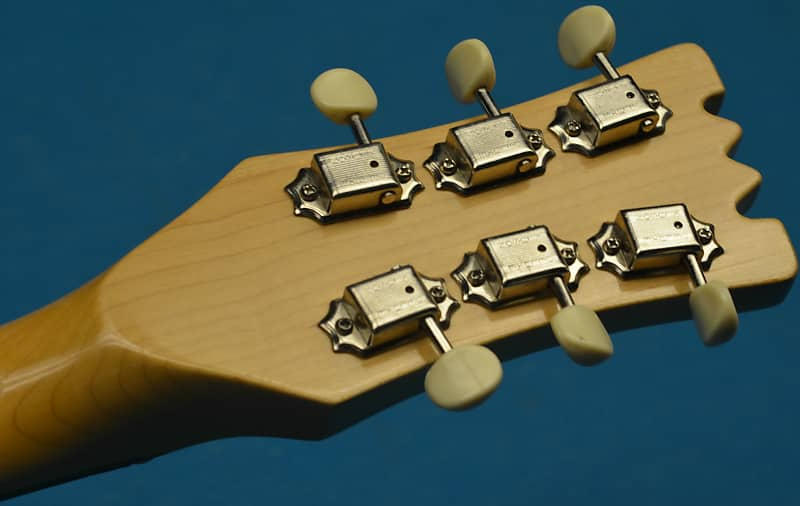 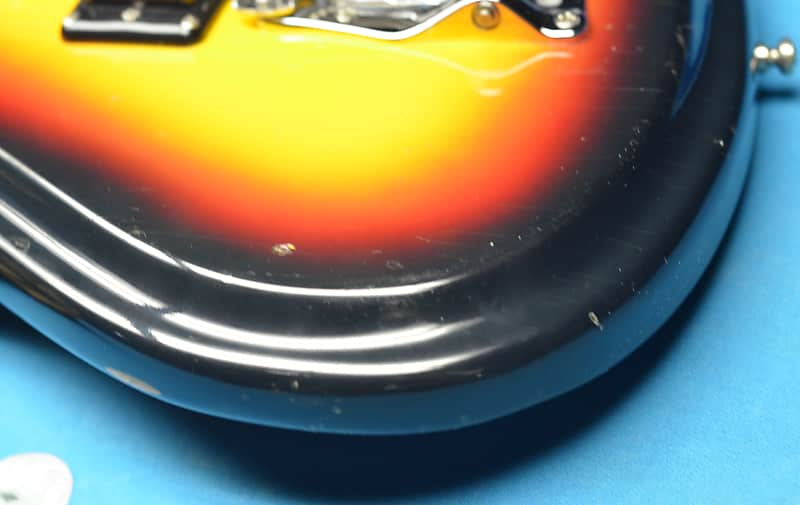 Some checking with long striations can be seen across the body, as well as some bumps and dings with most appearing on the back of the guitar. 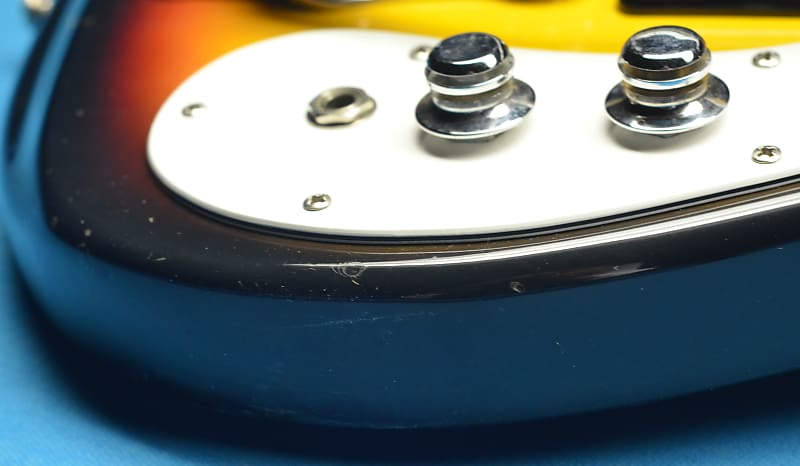 All hardware in in fantastic shape with tons of shine and sparkle. 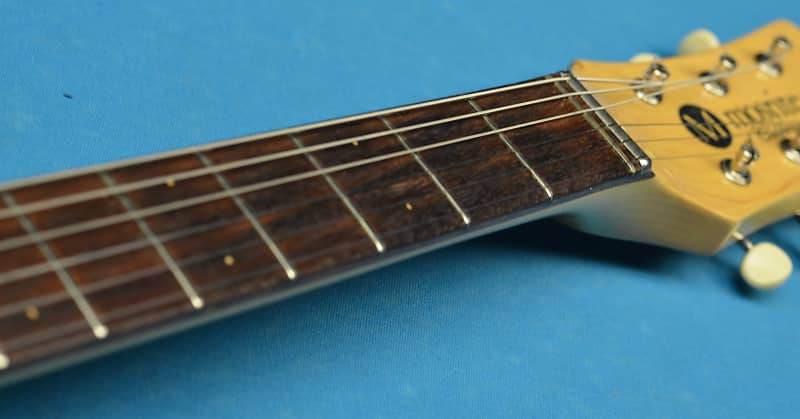 Neck is a very slim profile, letting your hands and fingers blaze up and down the the fretboard with ease. 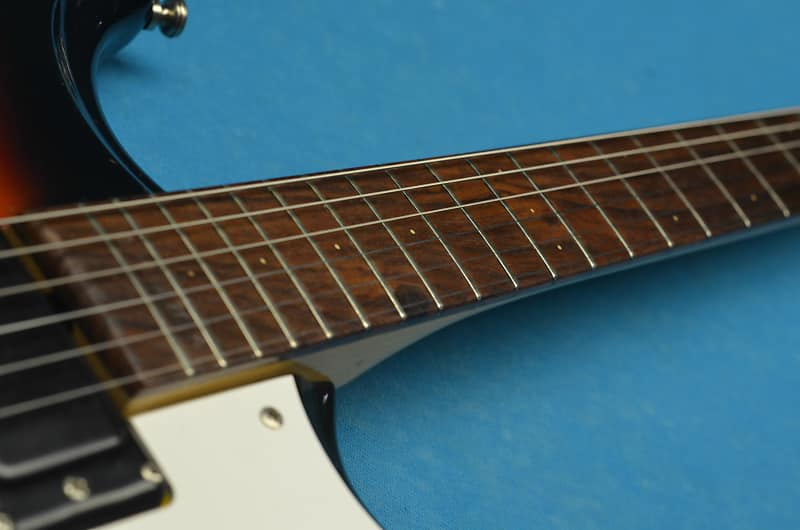 Frets are razor thin by design and yet, still have plenty of life left. 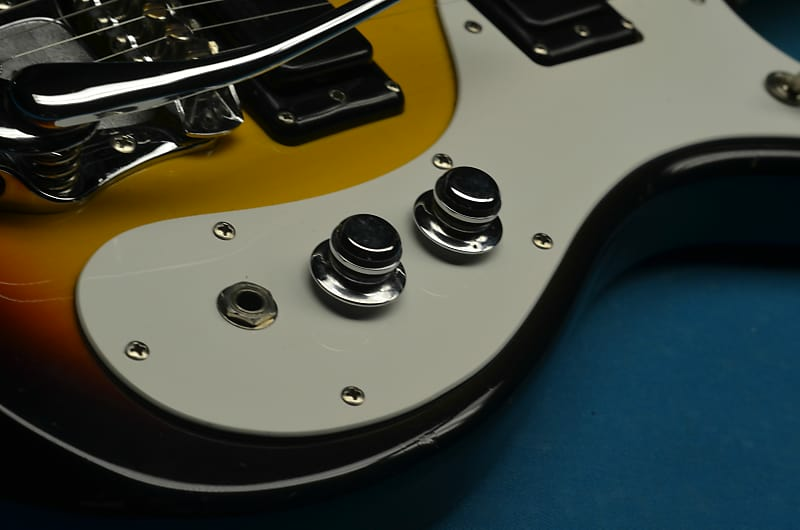 Electronics are all fully functional, quiet operating, and full of incredible tone. 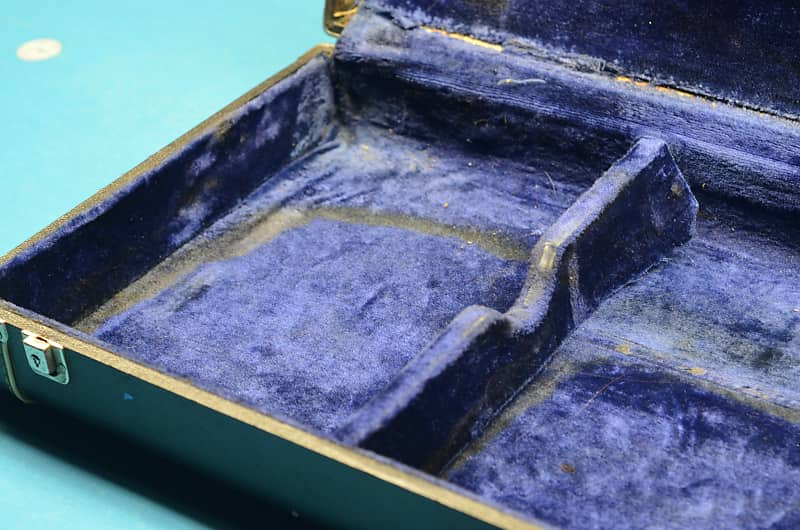 Purchase includes original hardshell case with gorgeous blue interior. 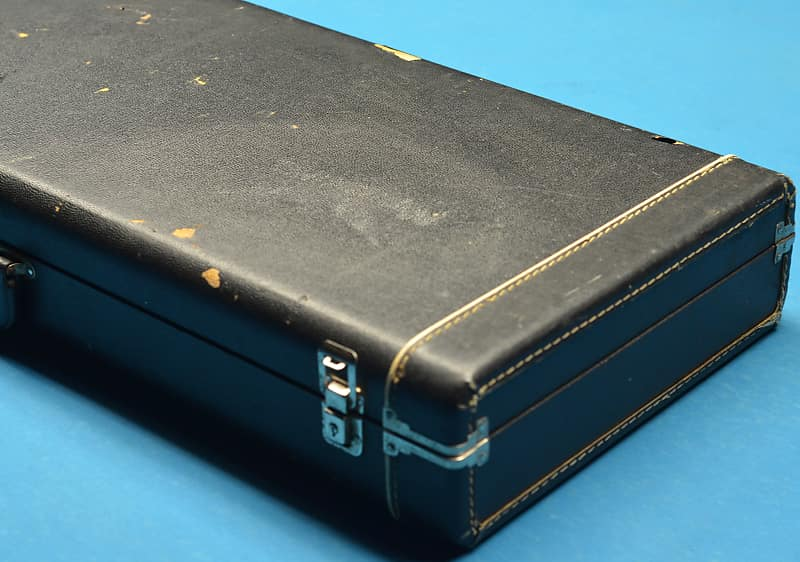 Case and interior show a fair amount of wear but still do the trick, all latches are functional as well. 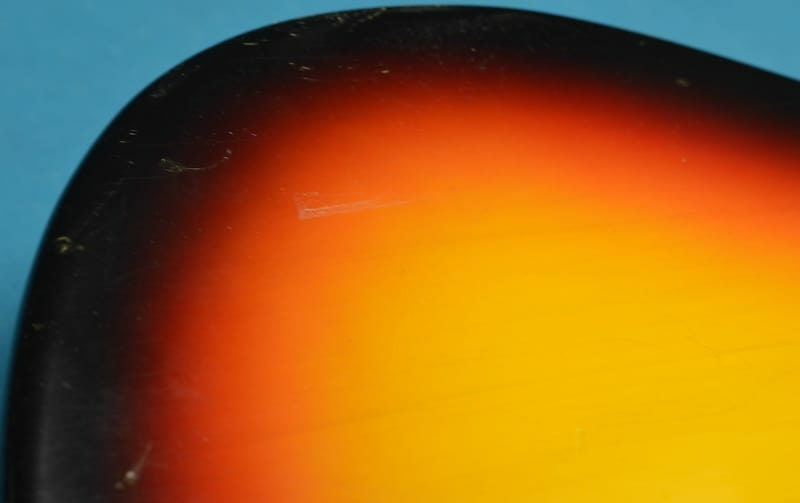 Don't hesitate to message us with any questions, thanks for visiting our listing!